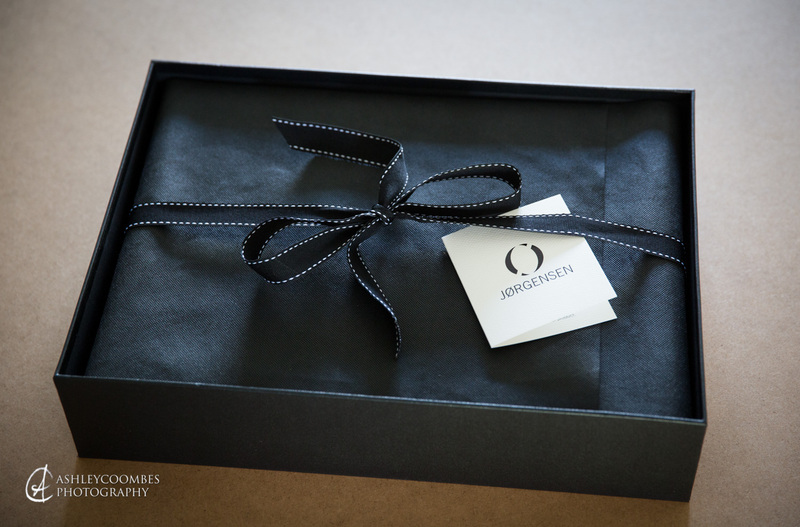 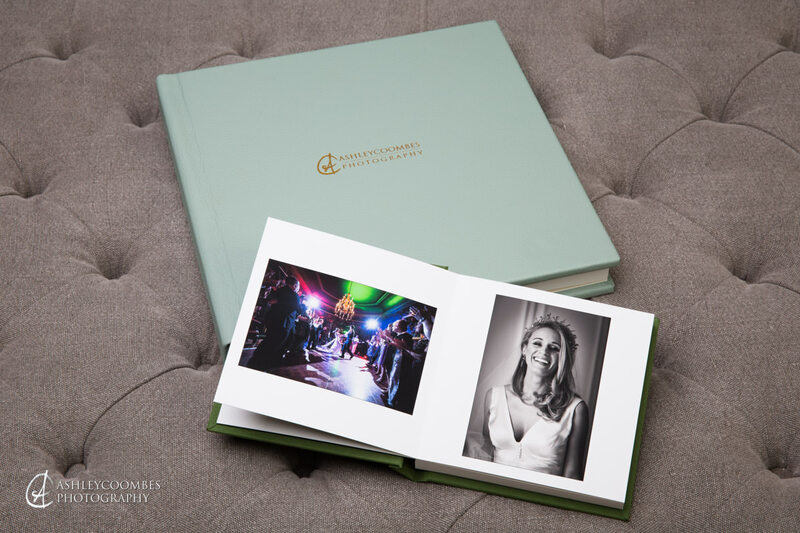 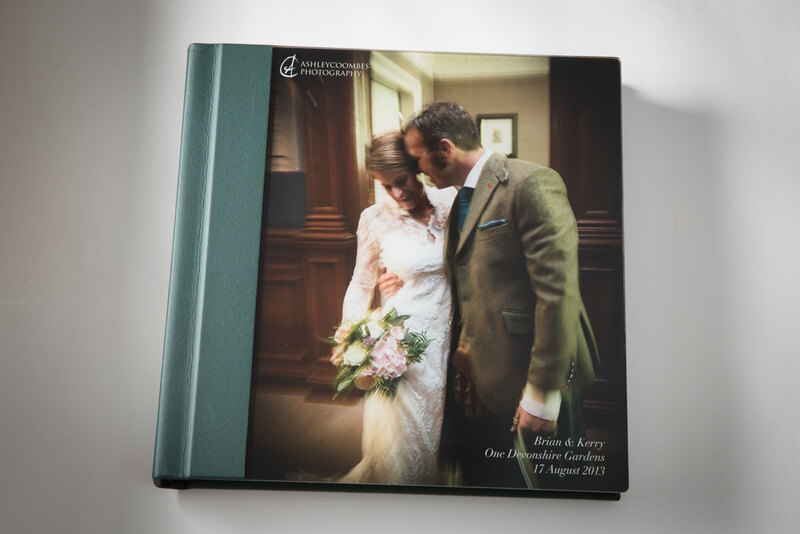 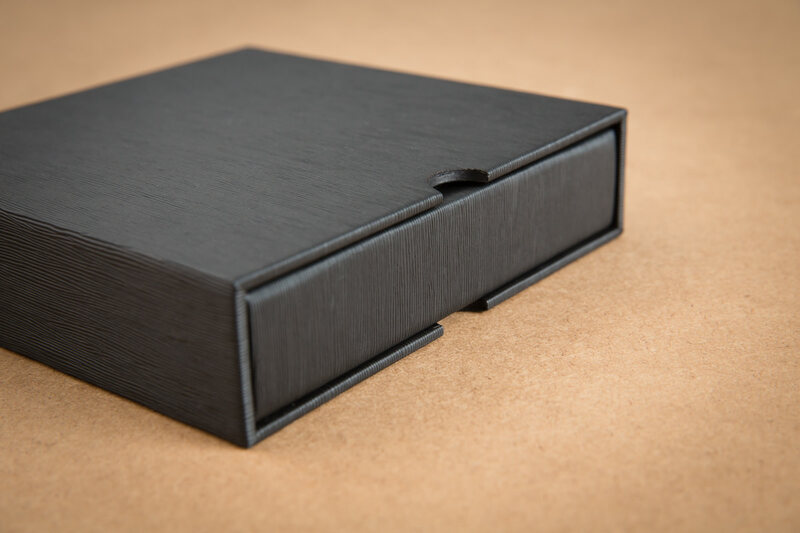 Receiving your album will be the final moment in a wedding journey which started with the proposal and has passed through many phases – all focused on one very special day in your life. 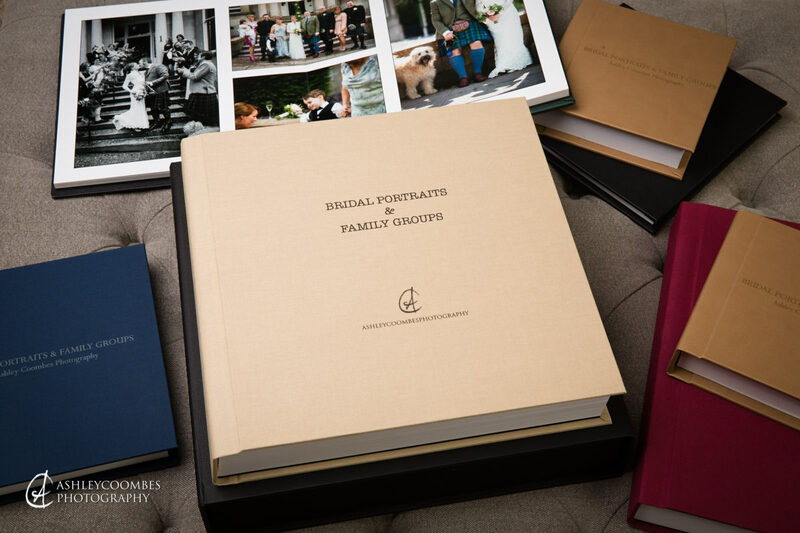 With hundreds of hours planning and thousands of decisions ticked off you will have created a wedding day which is unique to you and reflects the people you are. 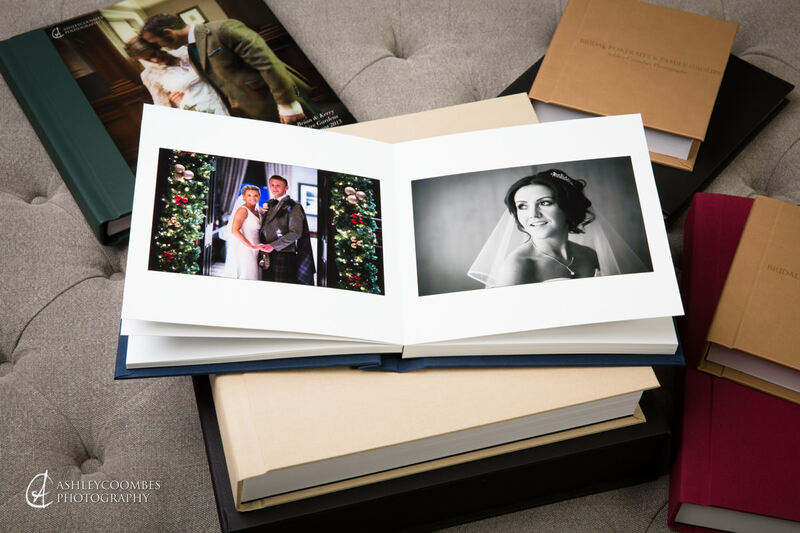 Being your photographer and telling the story of that day is a great responsibility and it’s a process which also has many phases before and after your wedding day. 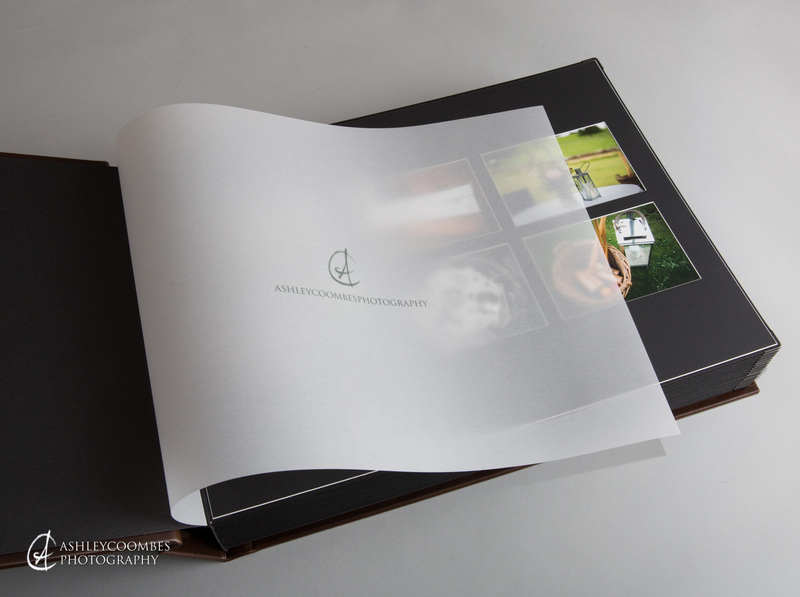 Selecting, editing, printing and presenting the photos is all be part of my professional responsibility. 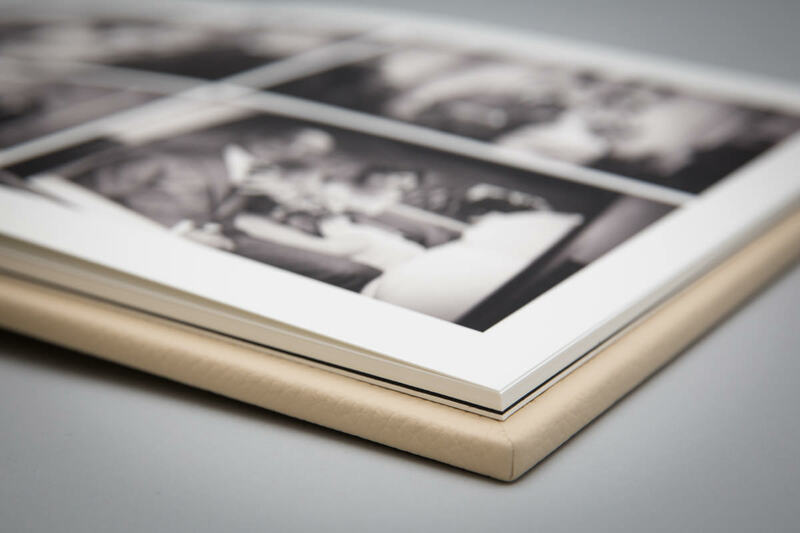 Designing the album to create the narrative is a crucial part of the documentary process. 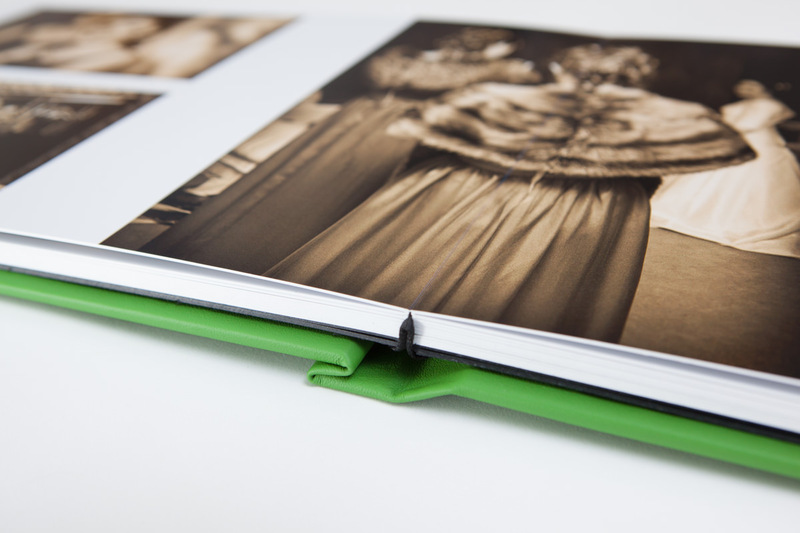 After everything you’ve put into this day, to simply end up with a folder of digital images somewhere on your computer, waiting to get sorted is a job half done. 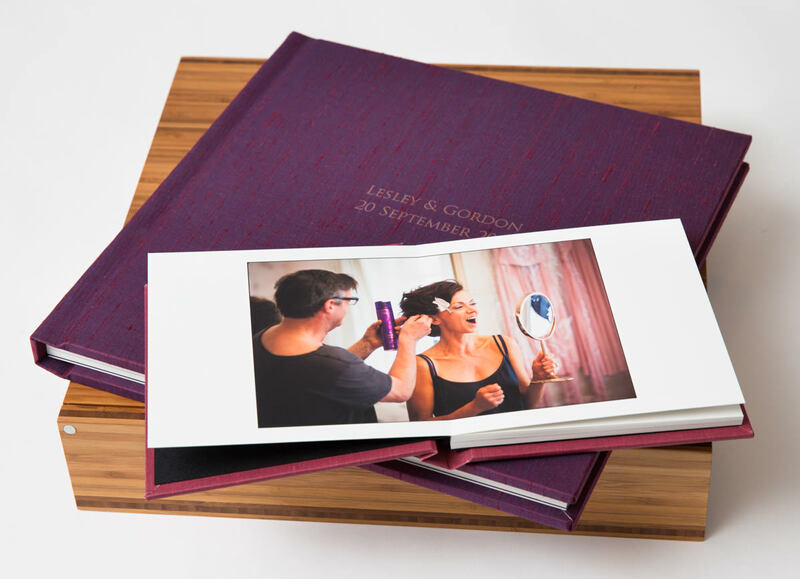 Presenting you with a gorgeous handmade album is a fitting finale to all the care and commitment you have lavished on your day. 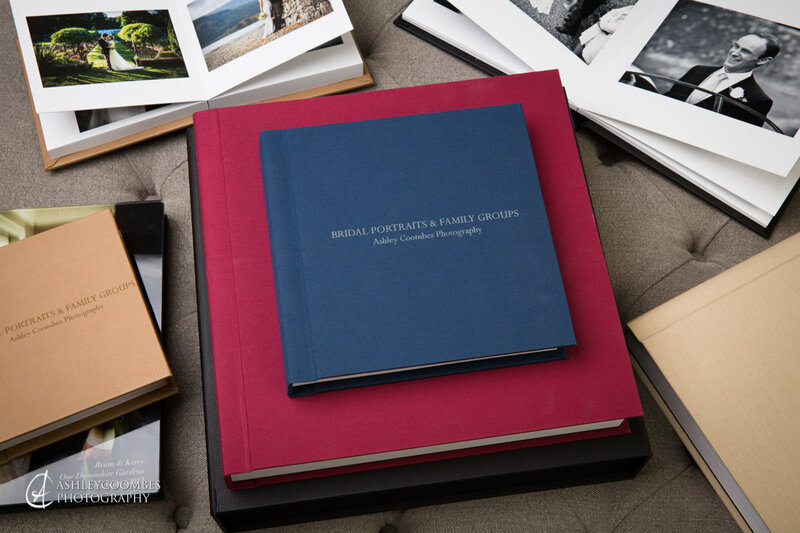 It will be a family heirloom for future generations to pore over and it will enable them to feel as if they were there with you. 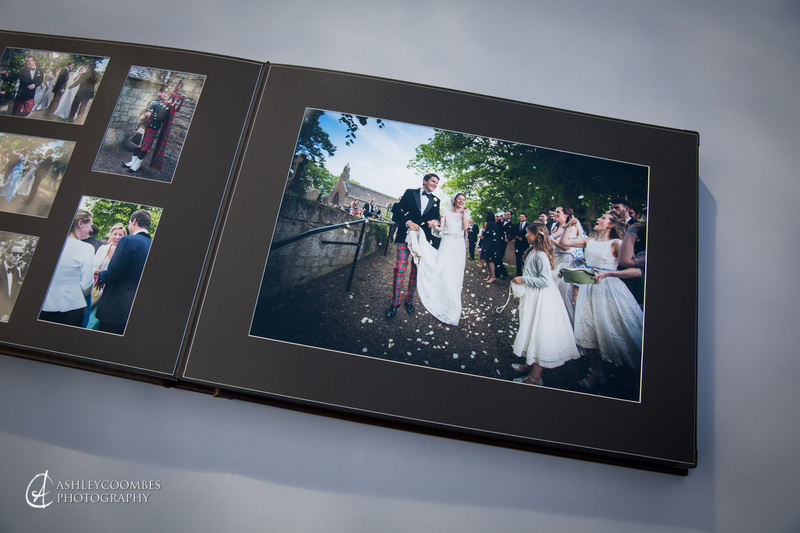 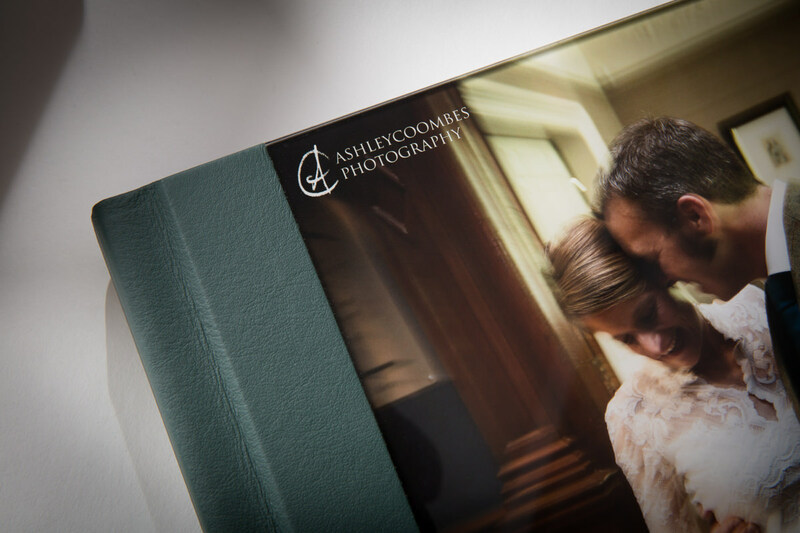 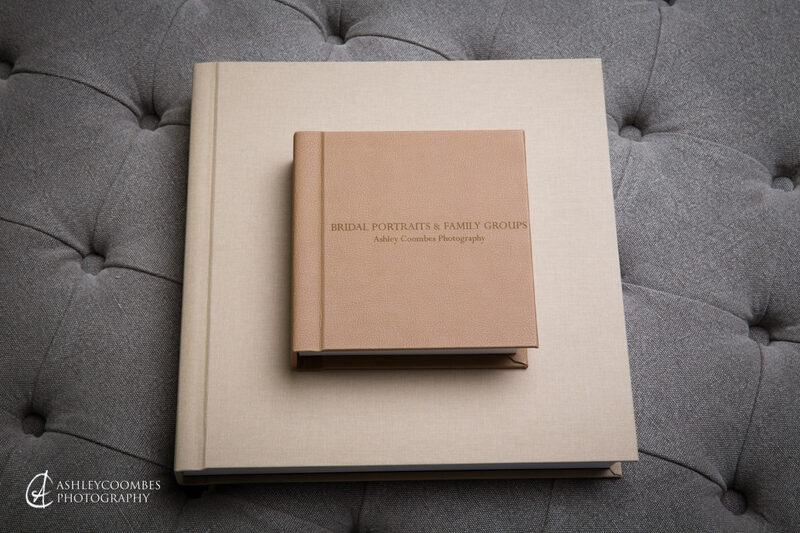 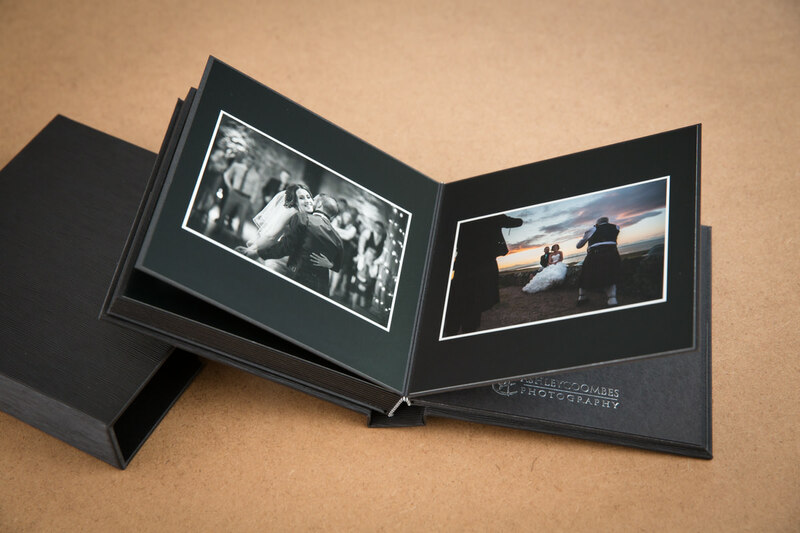 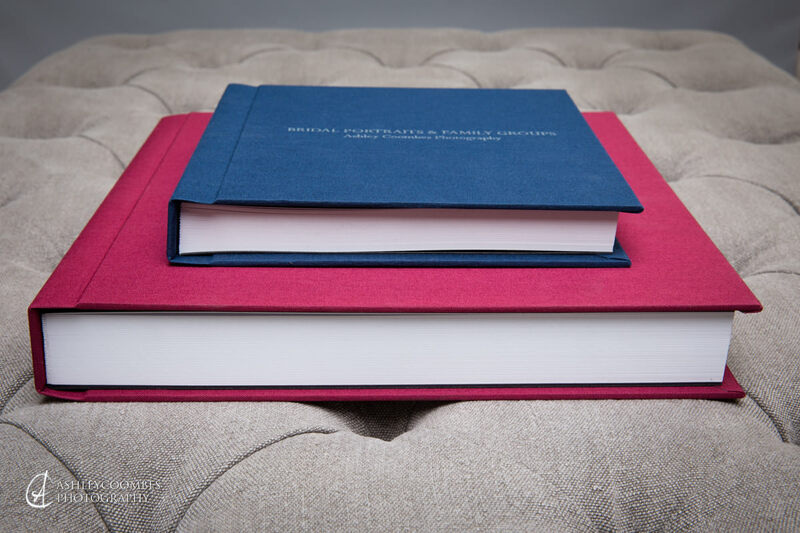 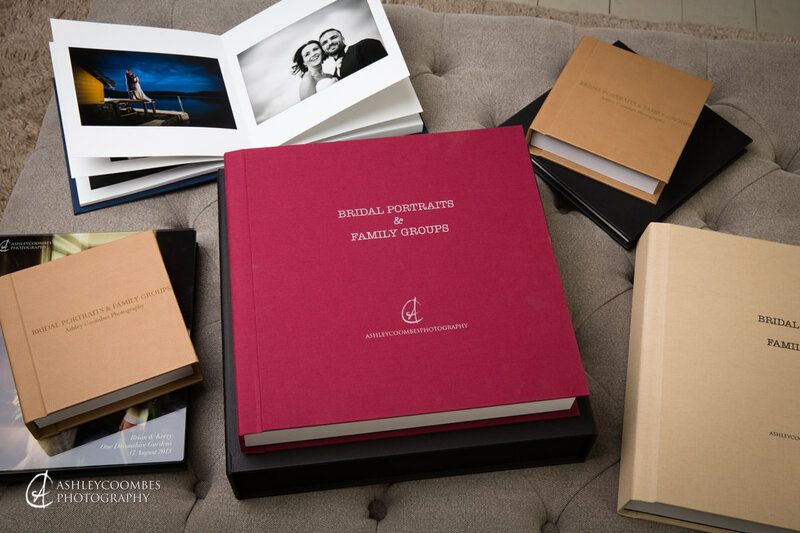 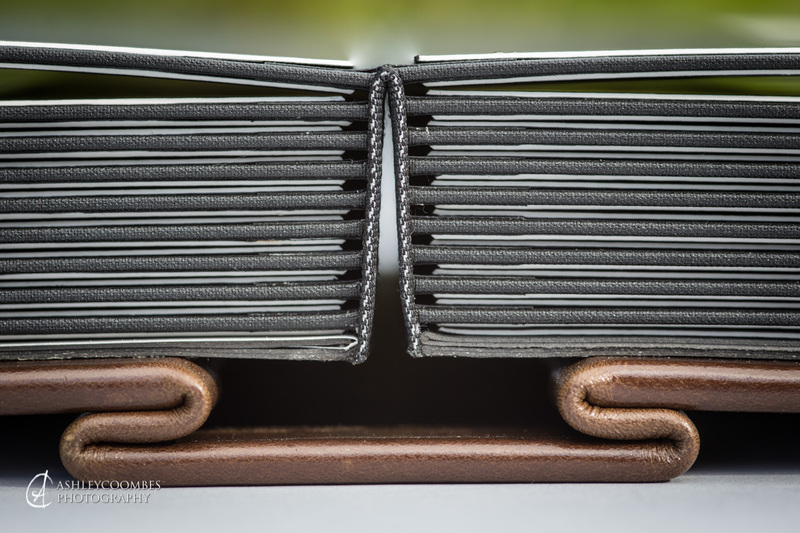 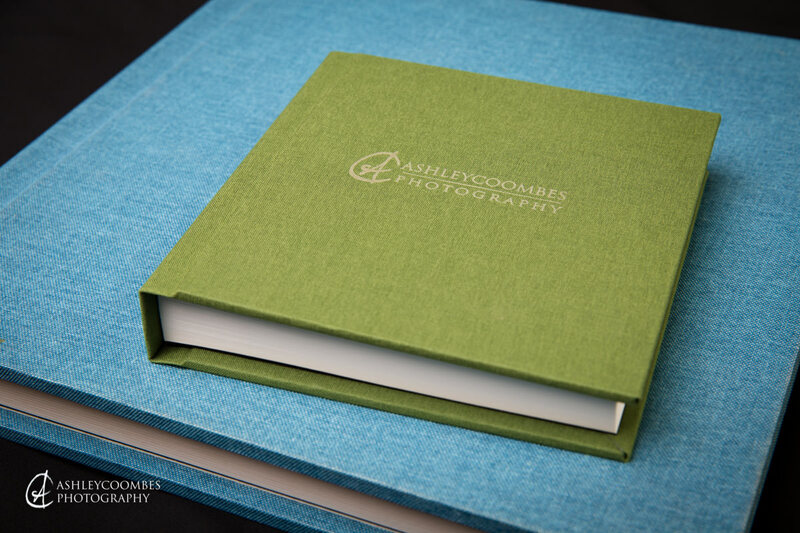 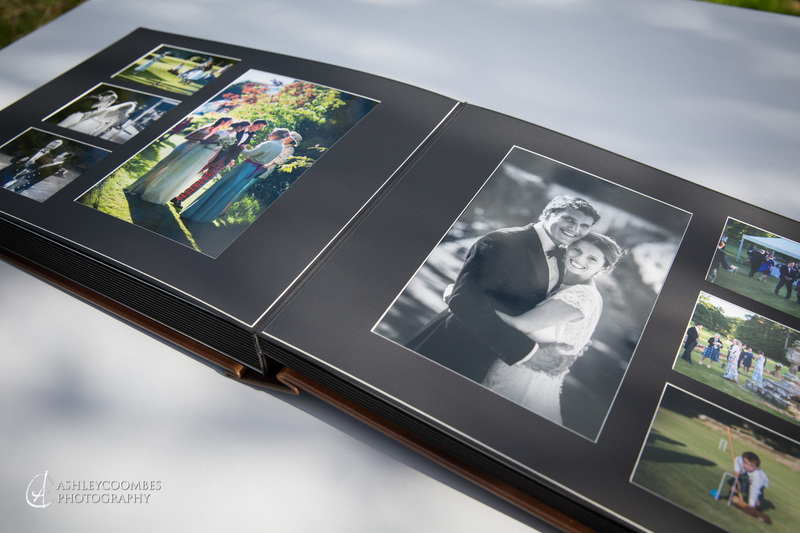 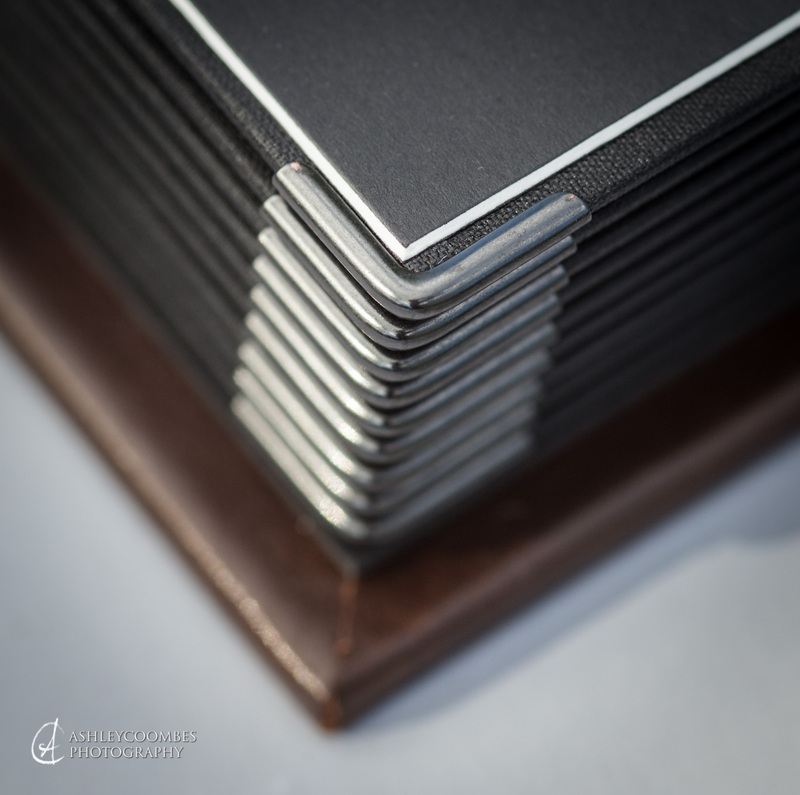 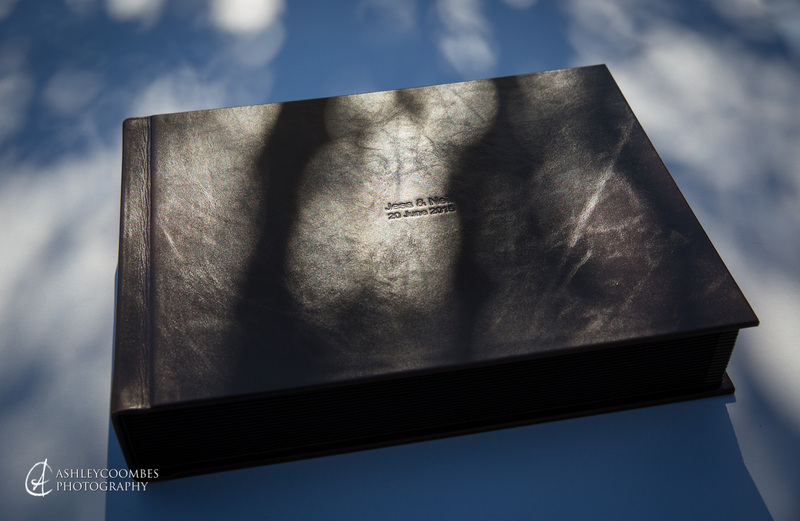 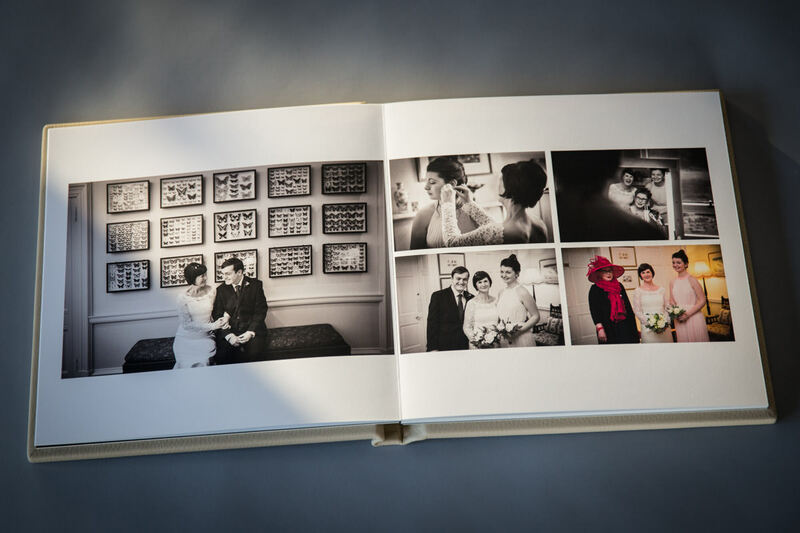 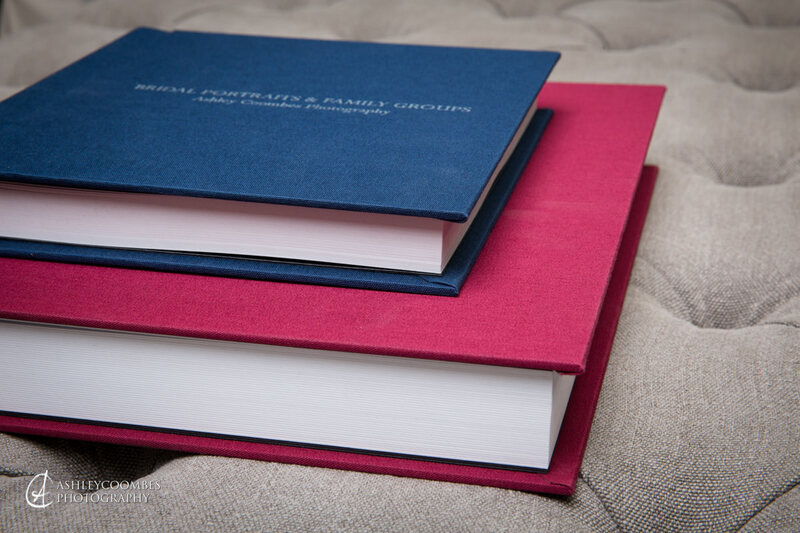 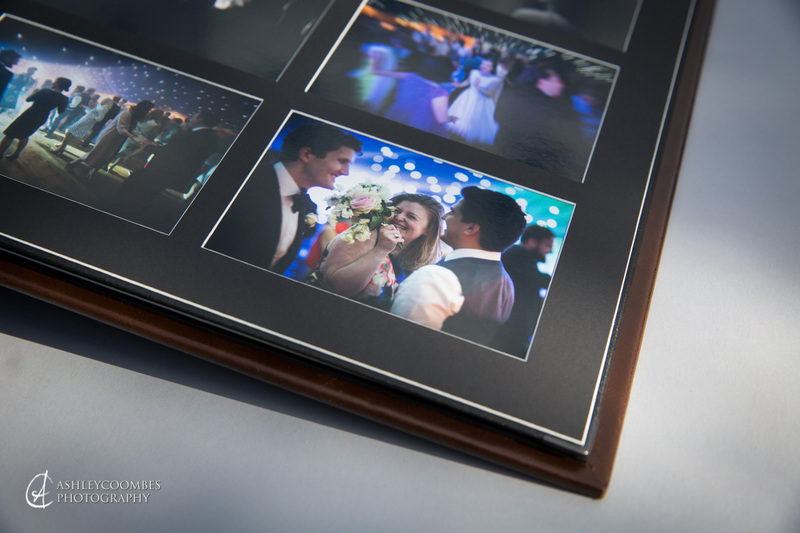 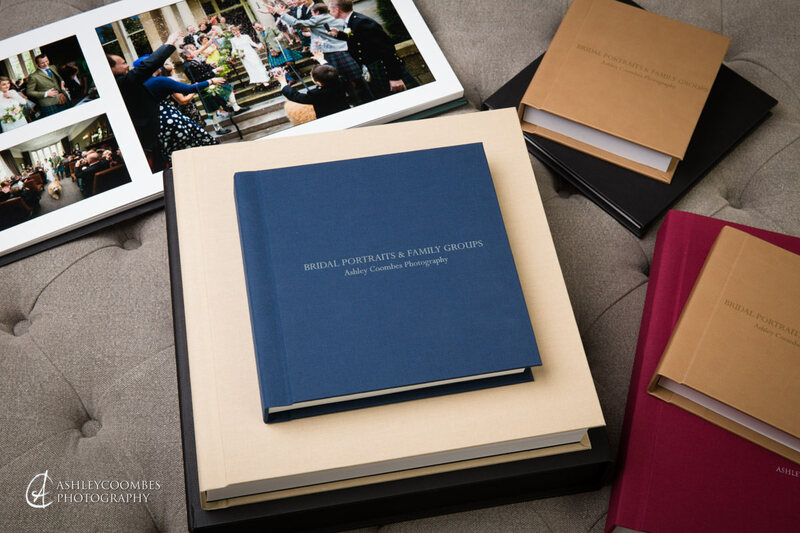 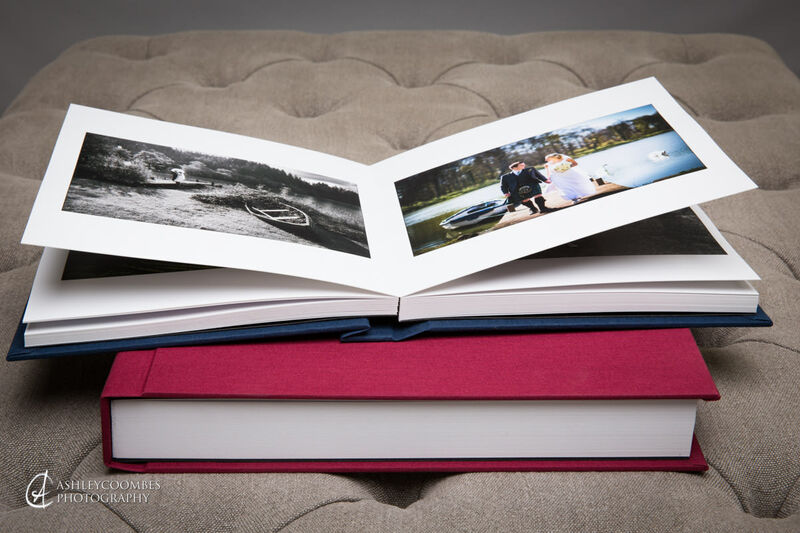 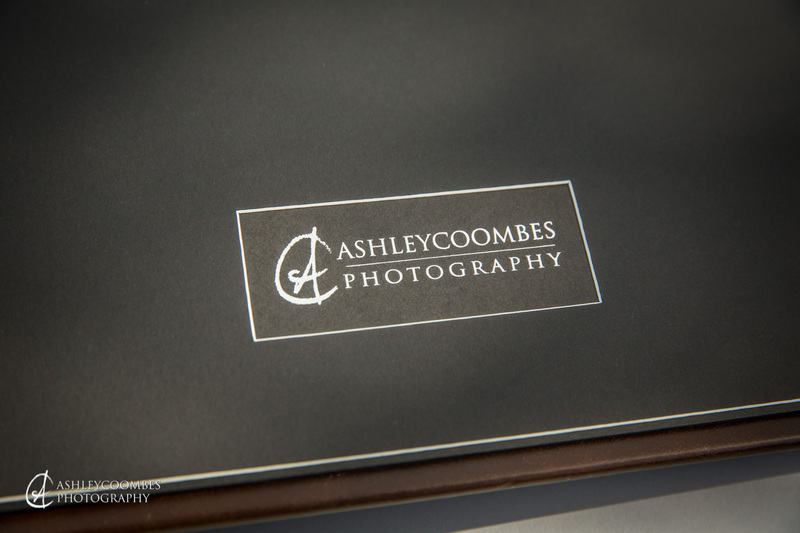 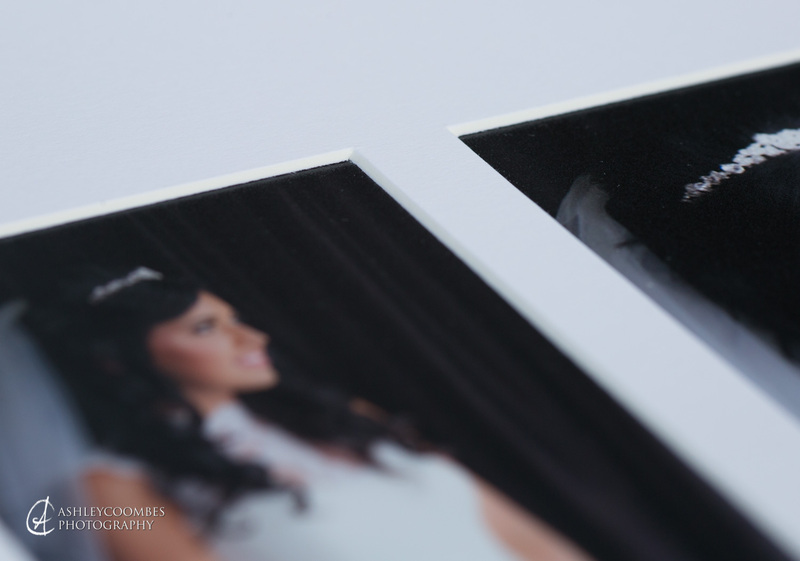 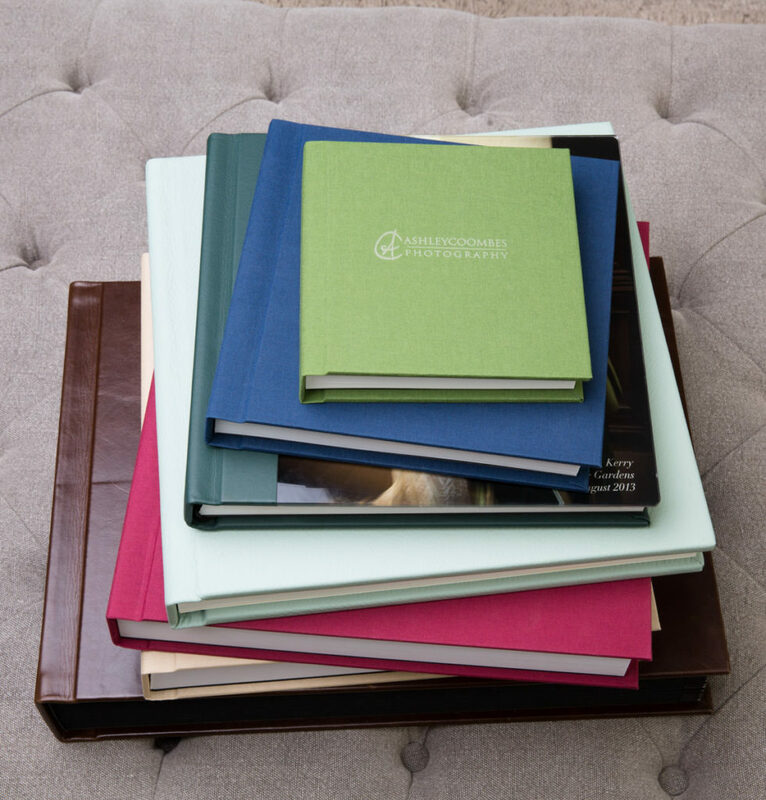 The Classic Matted album is the top of the tree in the wedding photography world and oozes quality and style. 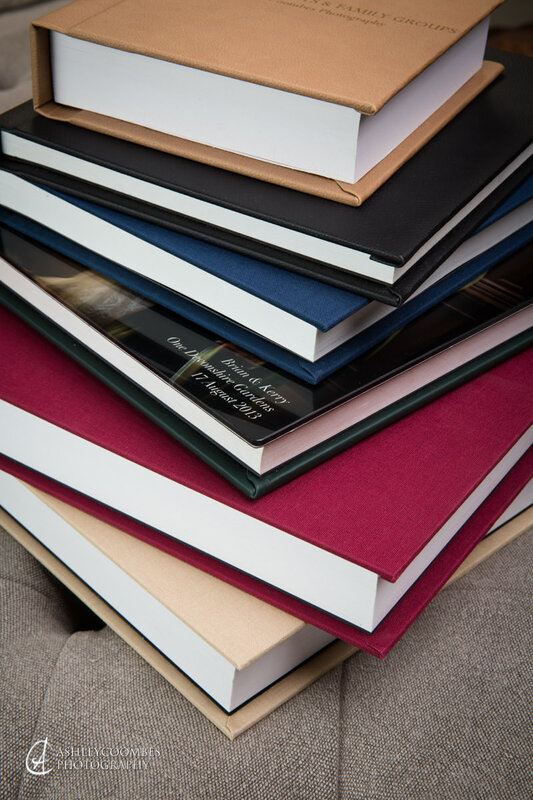 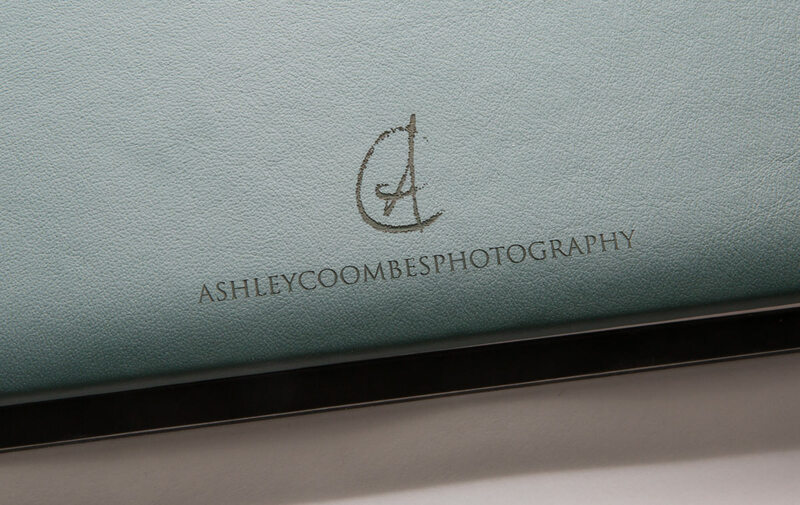 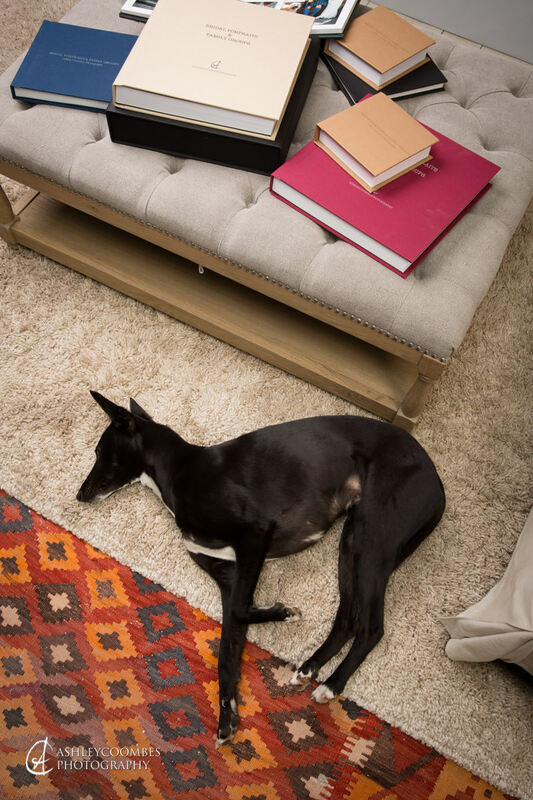 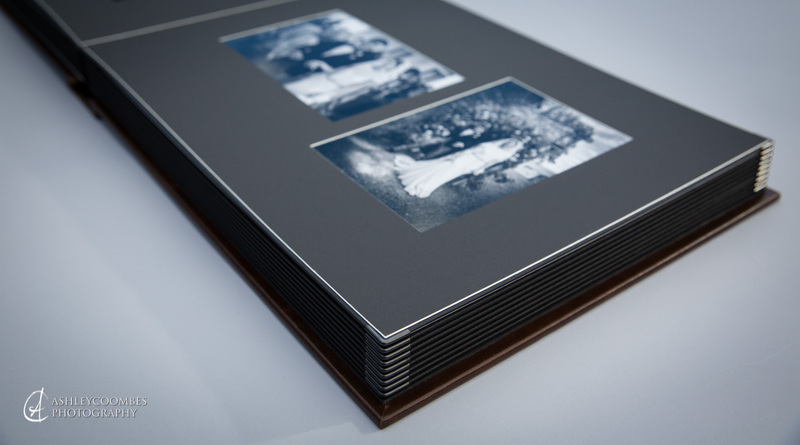 Your photos are printed on archive quality gloss photographic paper and set into bespoke cut mats (also called mounts) for longevity. 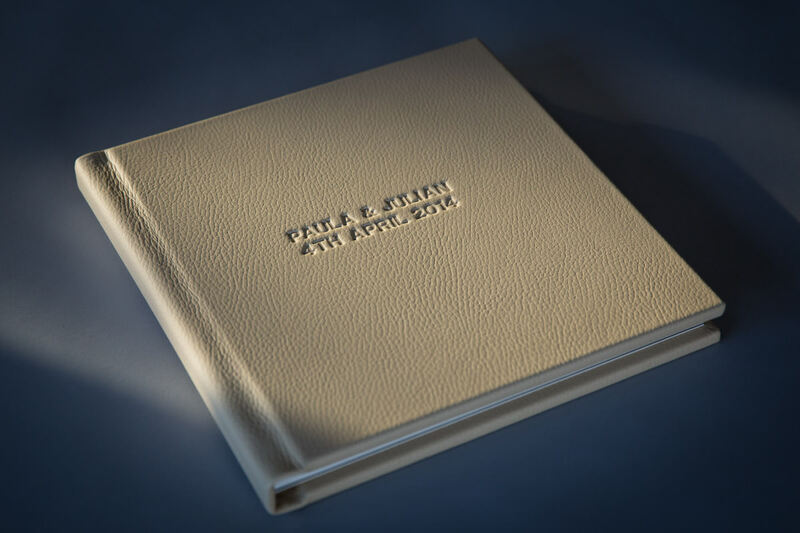 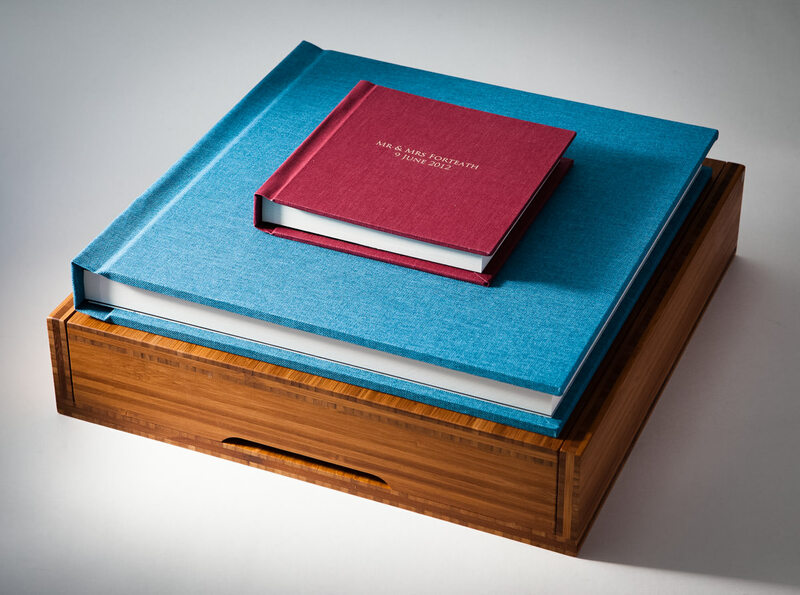 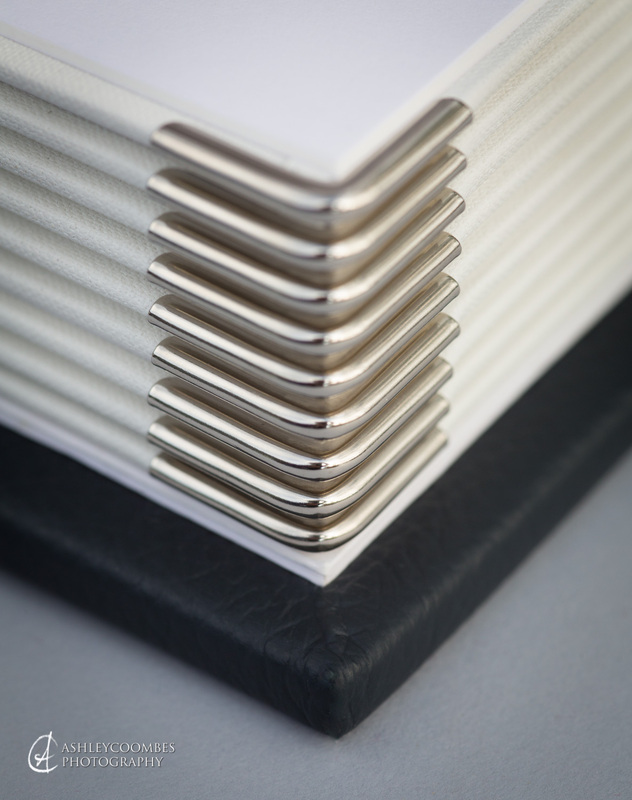 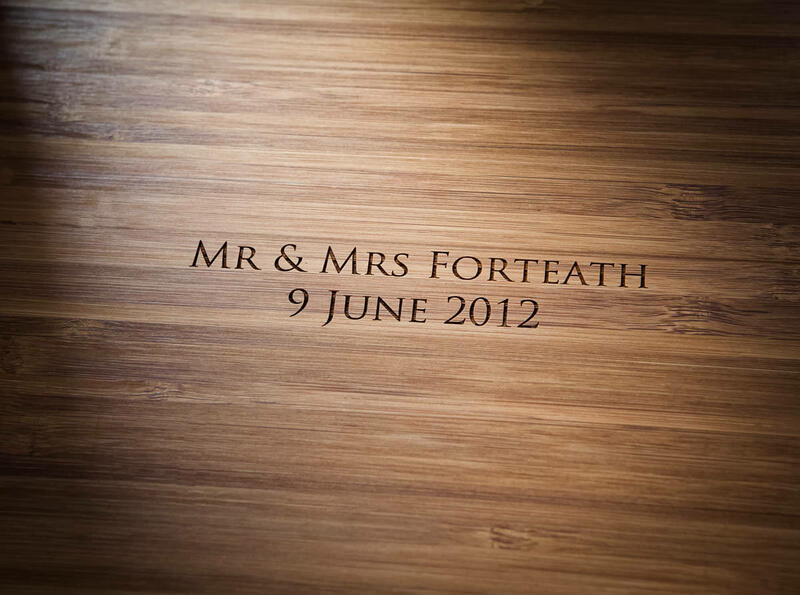 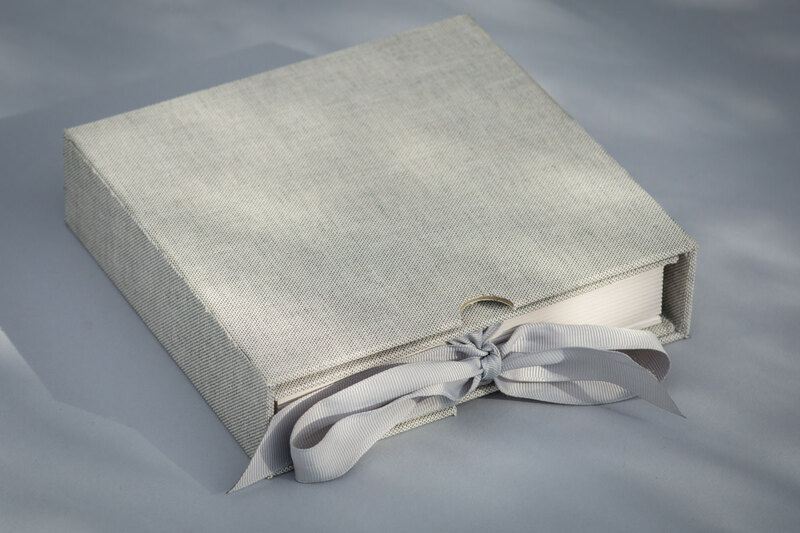 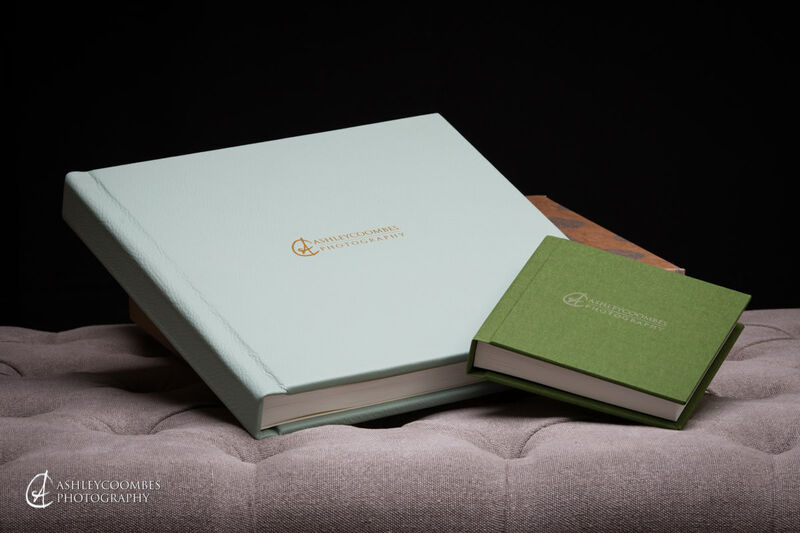 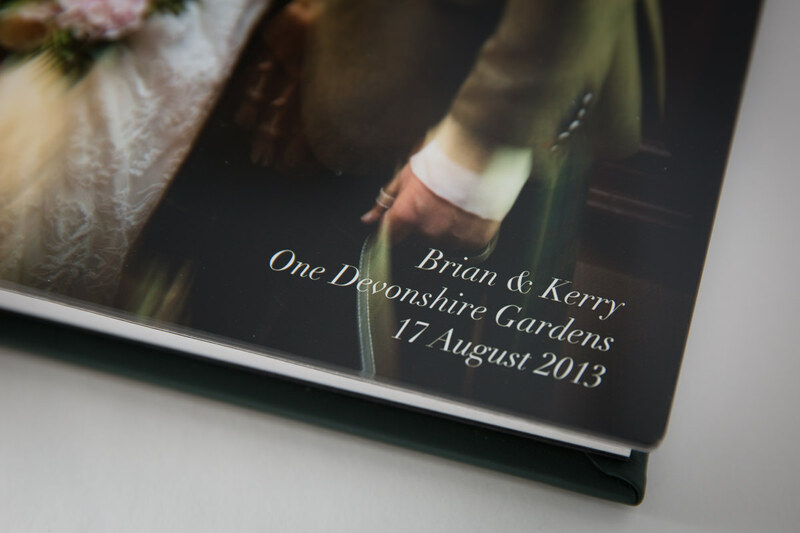 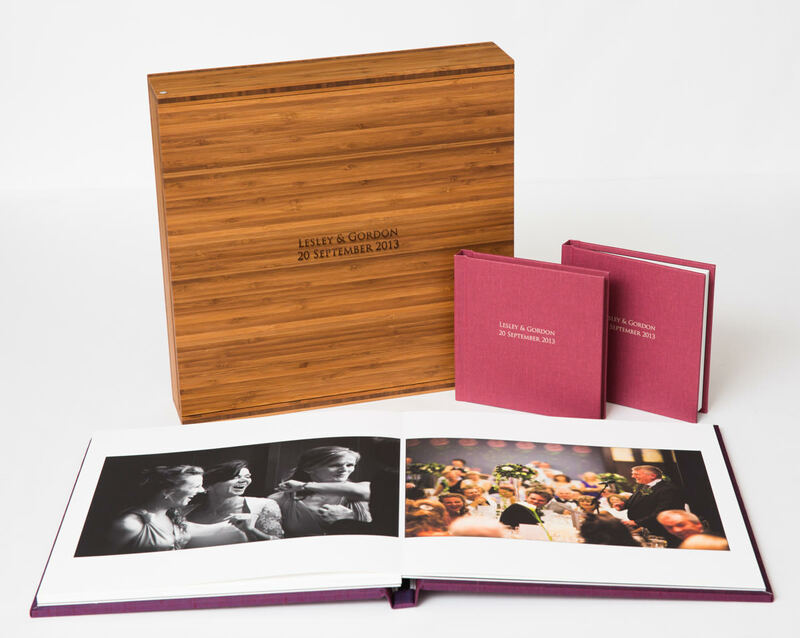 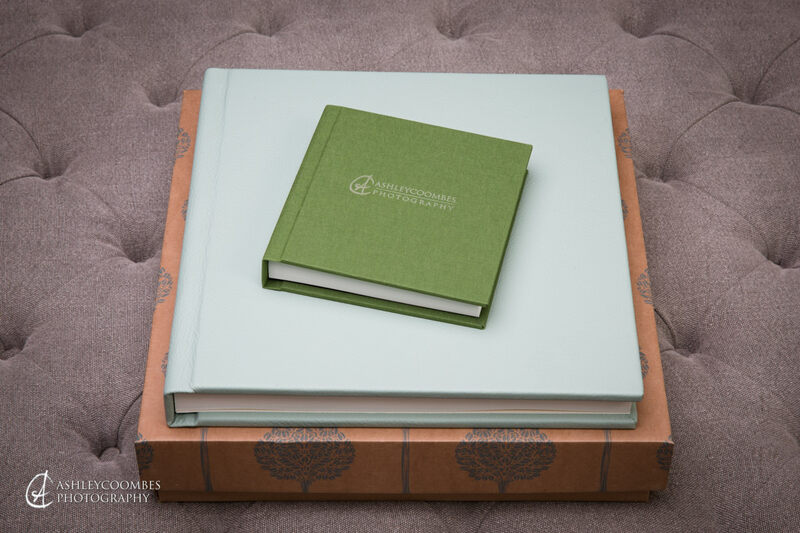 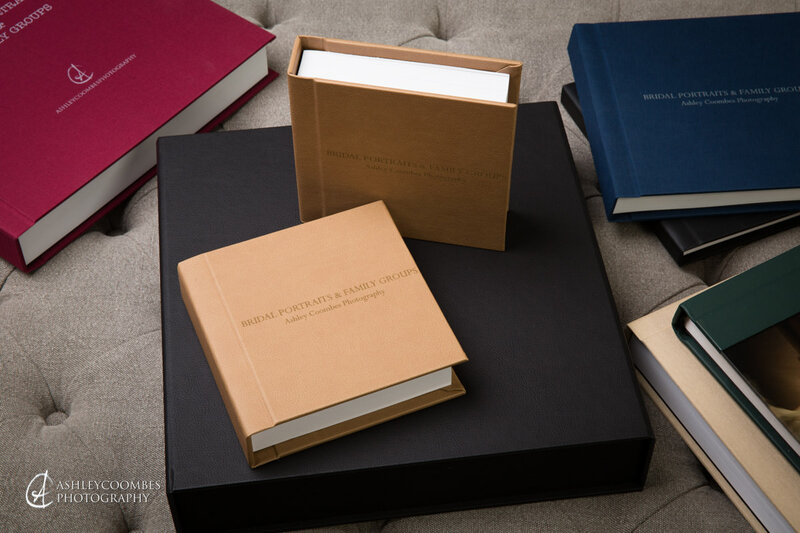 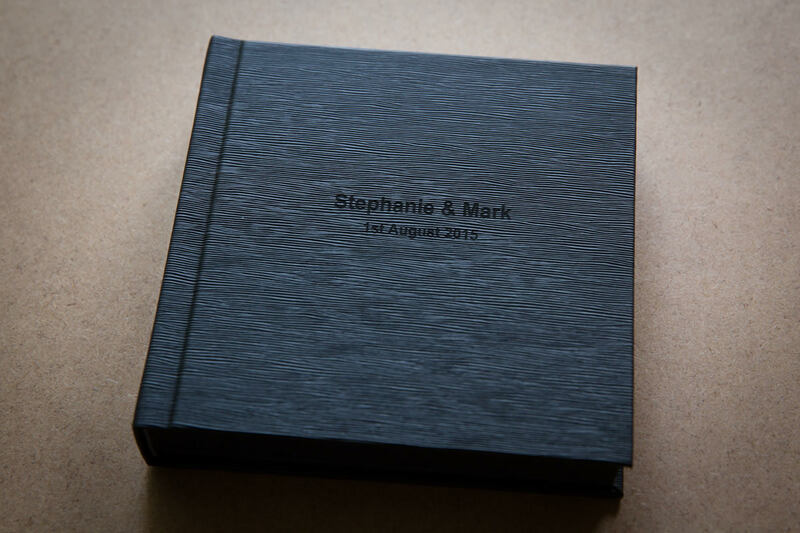 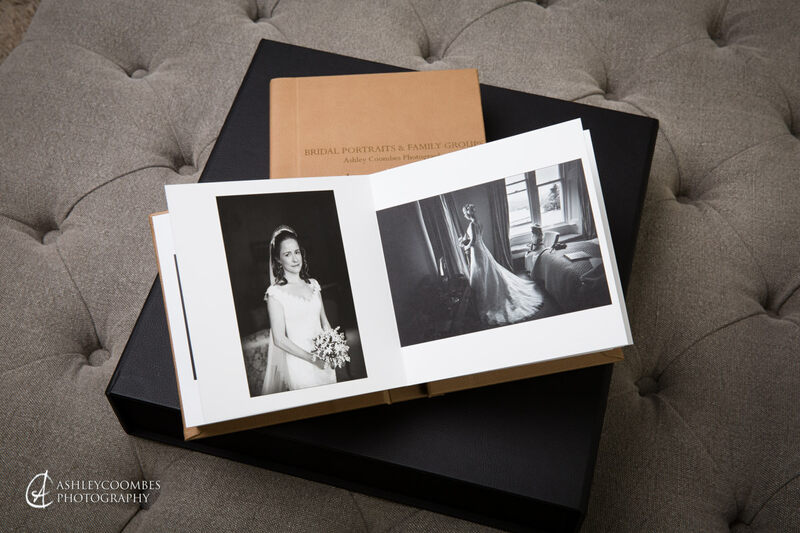 This handcrafted album has elevated the traditional wedding album to new heights of luxury and quality. 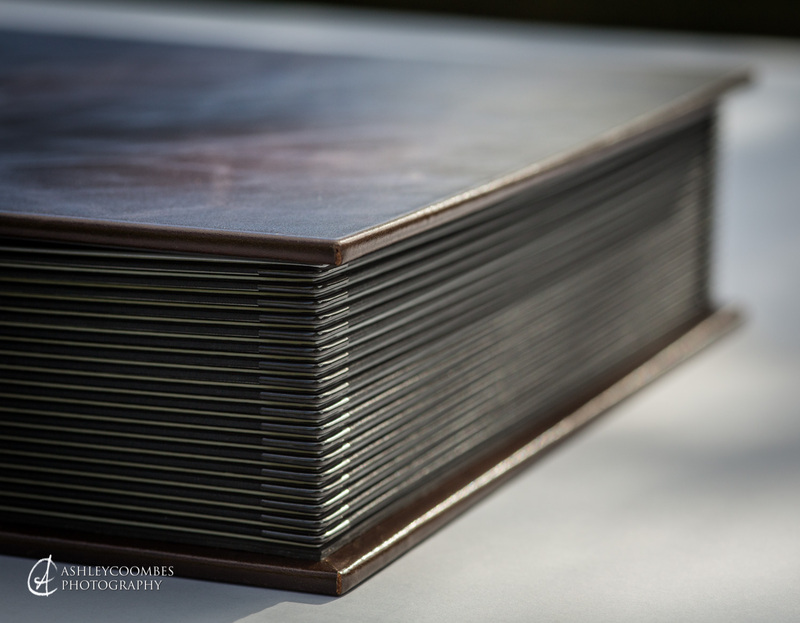 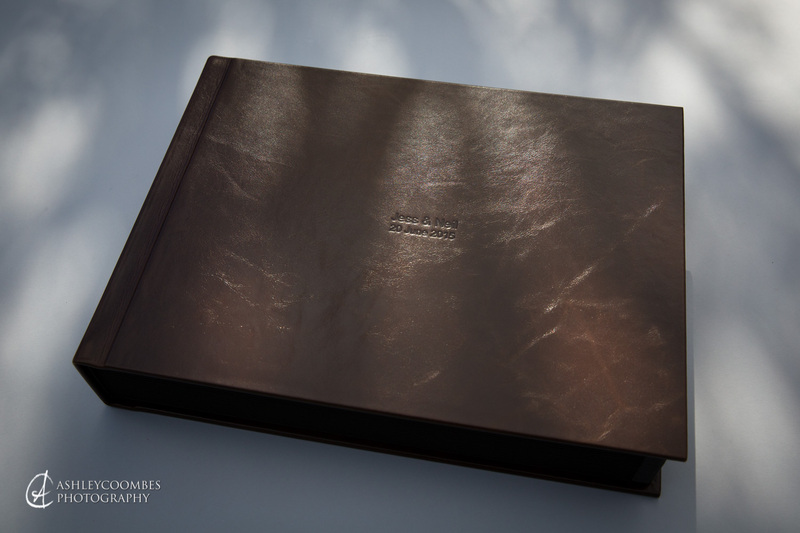 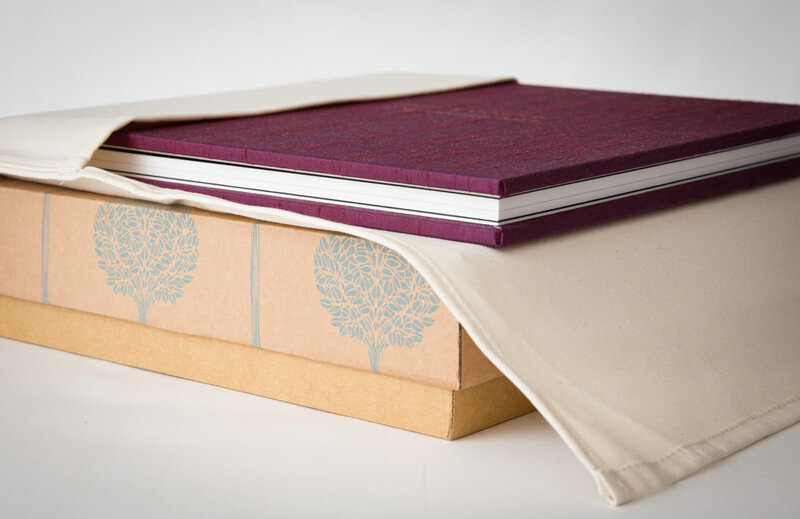 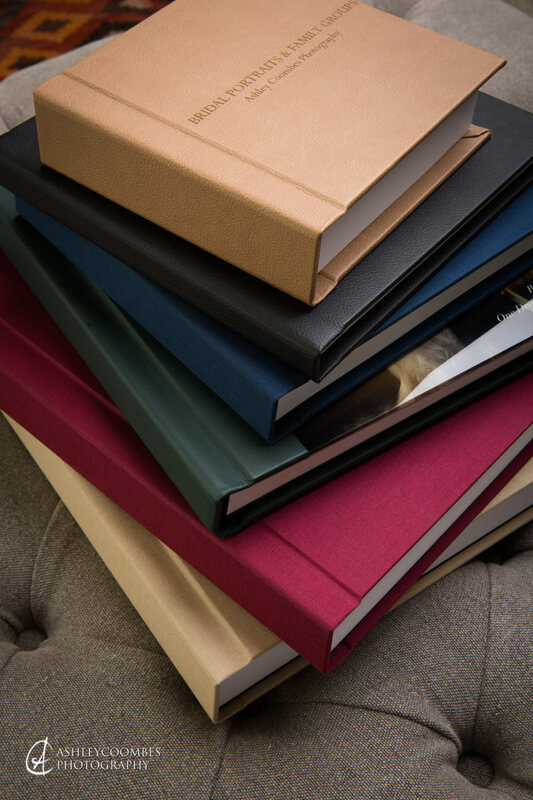 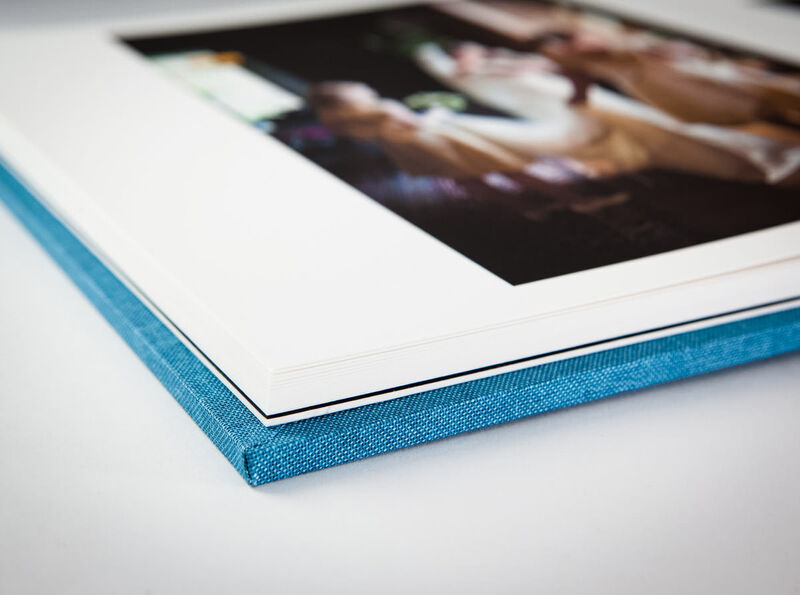 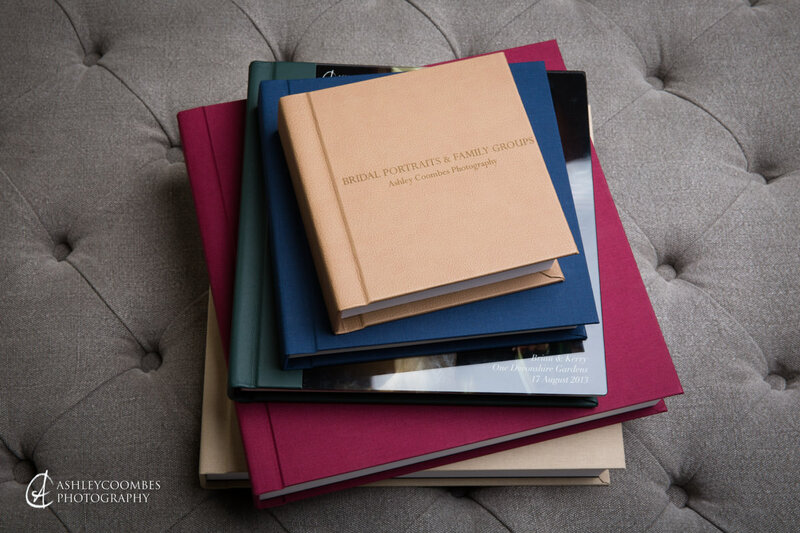 This Fine Art album is hand bound using the finest quality cover material and fine art paper to give a textured finish to your images and has clean and simple lines for exquisite presentation. 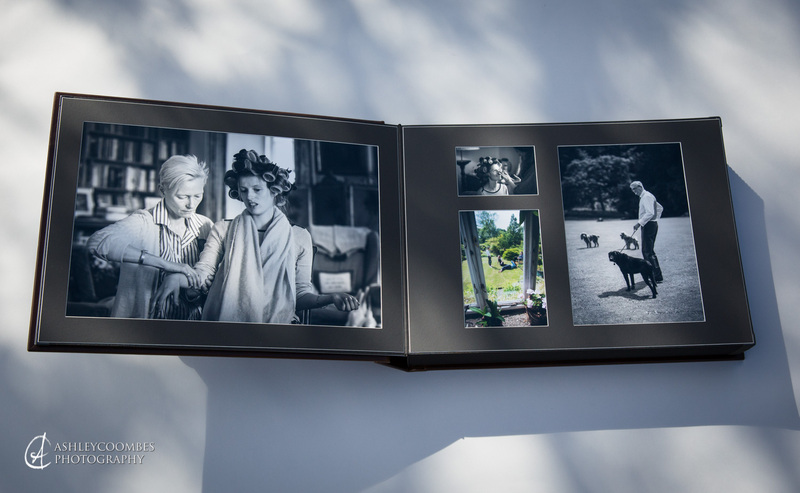 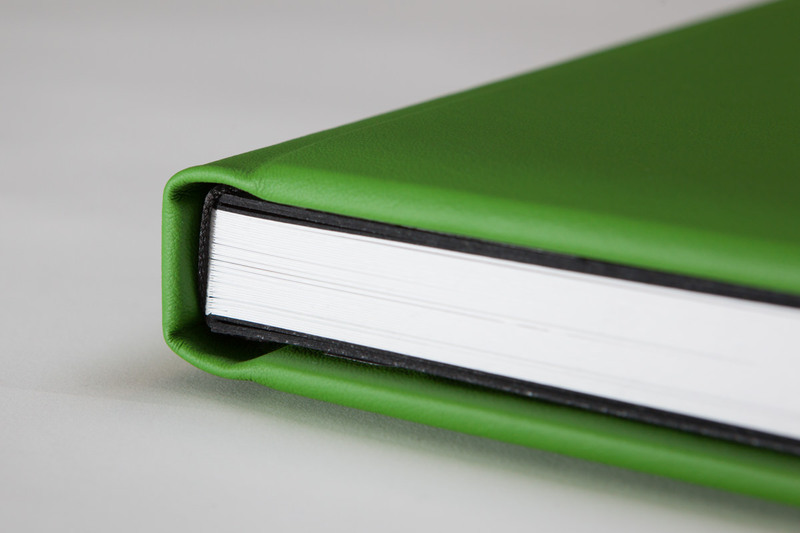 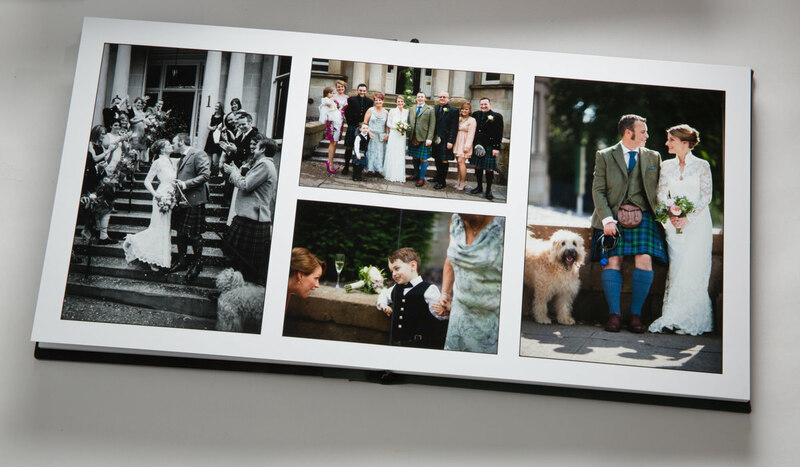 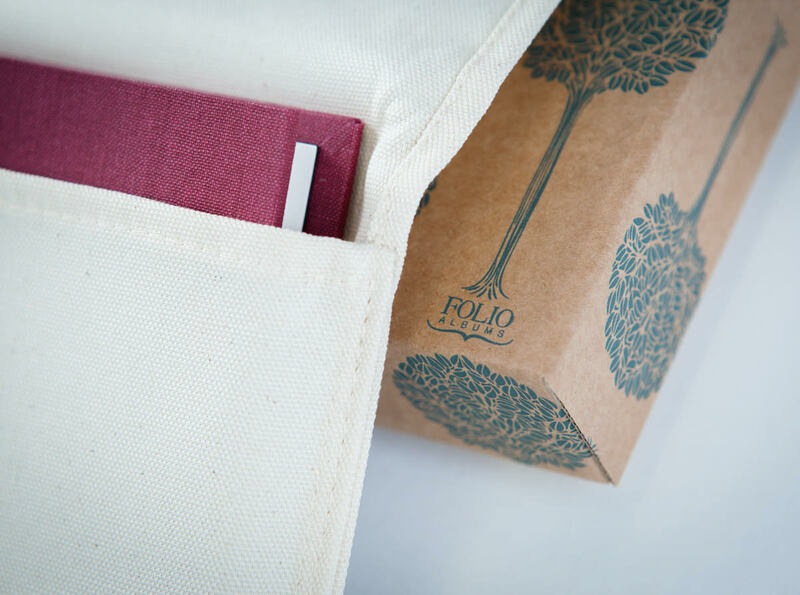 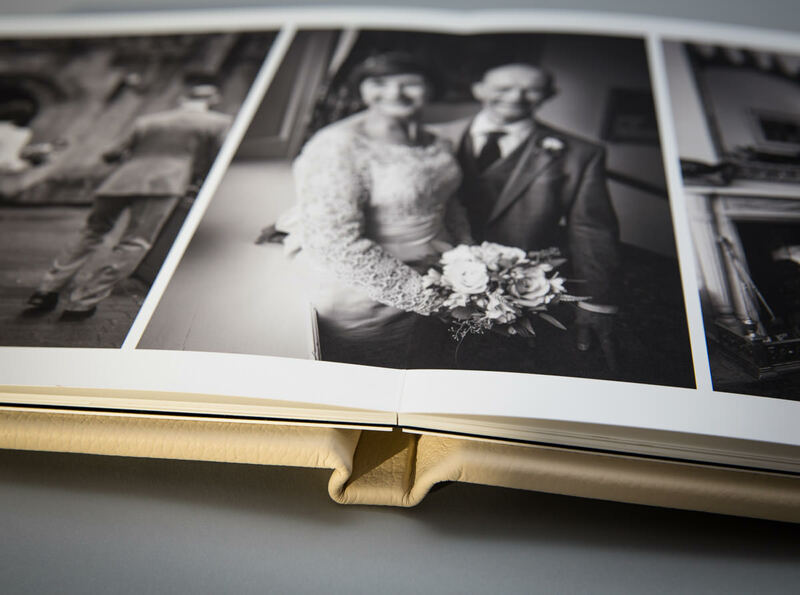 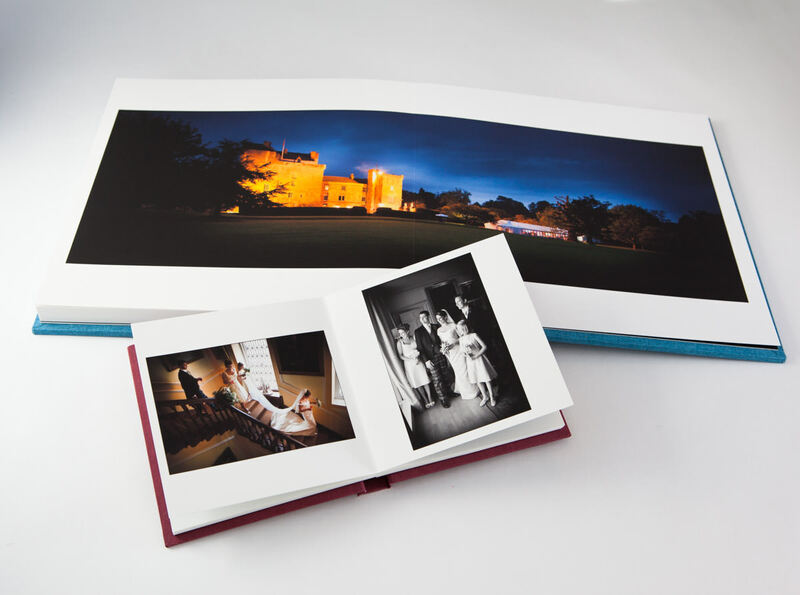 Pictures are printed directly on to the page and each double page spread opens out flat with an almost invisible crease so your images can be displayed across the two pages. 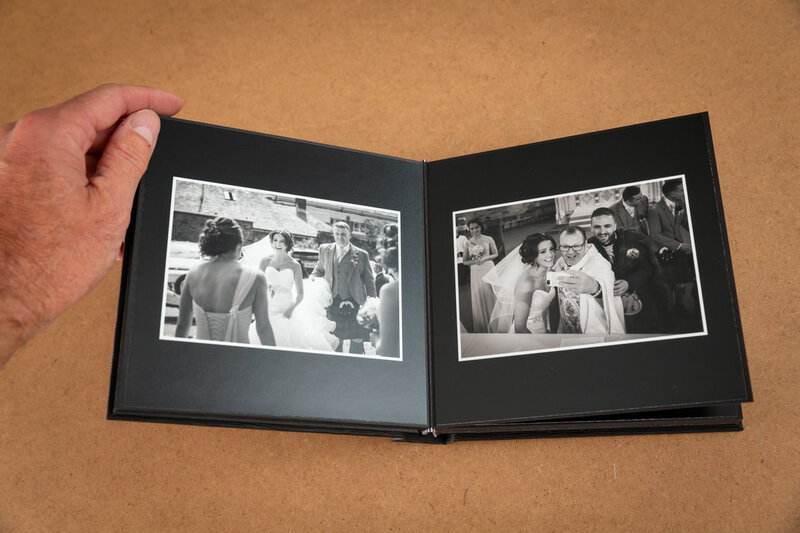 The Perfetto album is similar to my Fine Art Album, except printed on professional photographic archive paper. 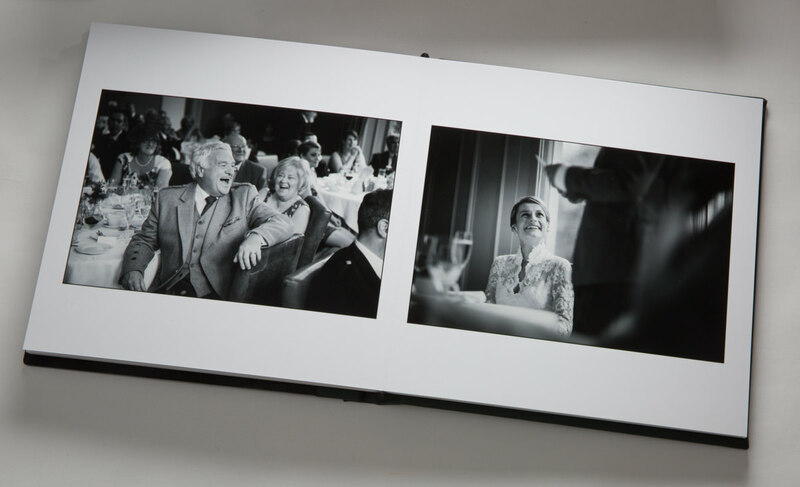 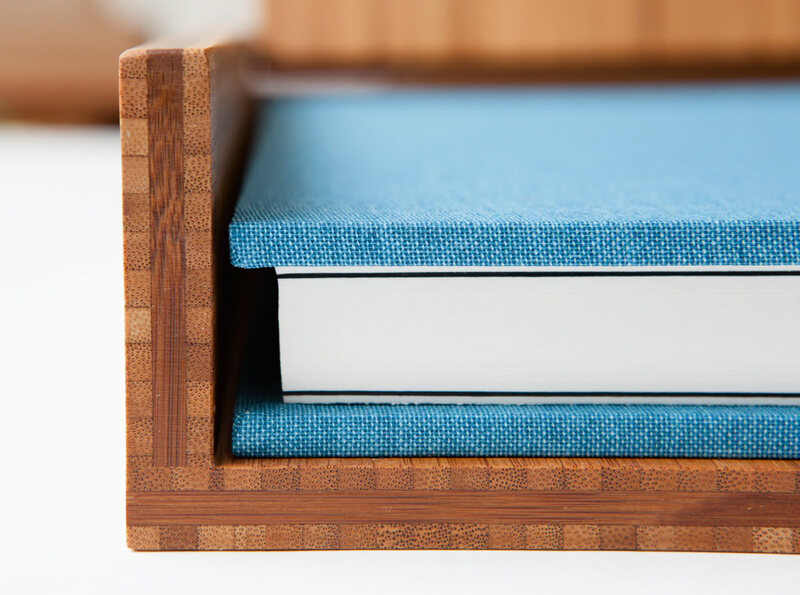 It is flushmounted to create a sleek and modern showcase for your images which can be printed across an entire double page spread with an almost invisible crease.